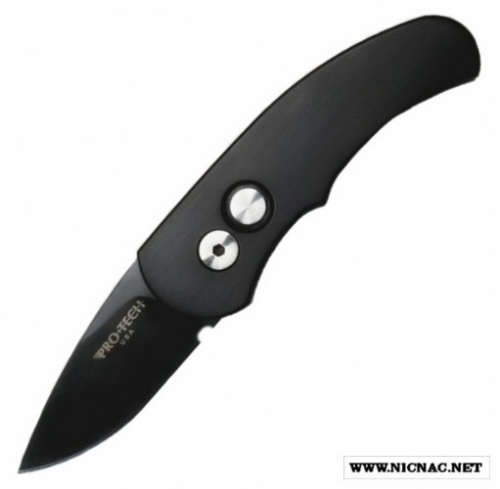 The Protech Runt is a small california legal automatic knife. Don't let the runts size fool you though, it's a very capable and sturdy piece of cutlery. The Runt comes with a 154-CM Stainless Steel 1.9" Blade. The Runt 2 & 3s are .42" Thick, .87" wide and is 3.0" closed with an overall open length of 4.9" and is 1.6 oz. The Runt J4 is .44" Thick 5.27" overall open length and is 3.33" and is 2 oz.